All Grain Oatmeal Stout homebrew recipe. 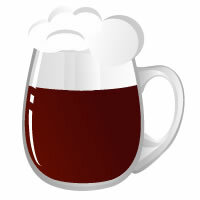 This homebrew recipe uses the following ingredients: Pilsner - DE, Chateau CaraGold - BE, Flaked Oats - US, Chocolate - BE, Black Malt - US, Perle Hops, Fuggles Hops, Lallemand Nottingham Homebrew Yeast. This recipe was cloned from Frankstout Oatmeal Stout.